It's Tea Time for New Mom! What great news – a baby is born! So much happiness, joy and smiles are immediately brought to such house and the people who live there. The baby requires and receives all the attention that’s possible, and even more. Onesie, blankets, diapers, toys, baby food – the baby needs them all, and gets them all. But what about new mom, dad and the rest of their family? They also need attention and some things to help them get through this joyous but also difficult time and get their baby the best they can. 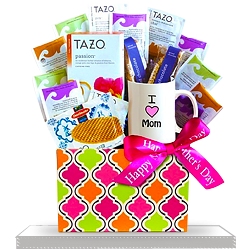 We offer various Spa gift baskets for New Mom: from oatmeal to lavender spa gifts - will help her get through this time and remain as young and beautiful as she is now. 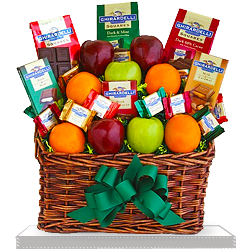 Fruit baskets with fresh fruit and delicious treats. 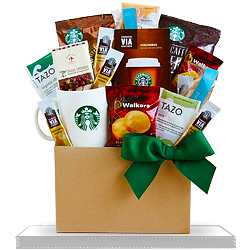 Tea and coffee gift baskets, from Tazo and Starbucks, and so many more. And don’t forget about new Dad – some attention and help will be much appreciated. 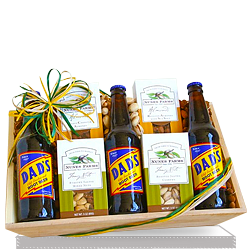 As well as gift baskets with beer and snacks will make him smile and forget his concerns. 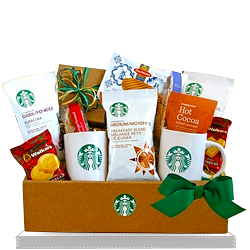 The family will also need something to celebrate, so fruit, snacks, tea and coffee are great choices if you want to join them.